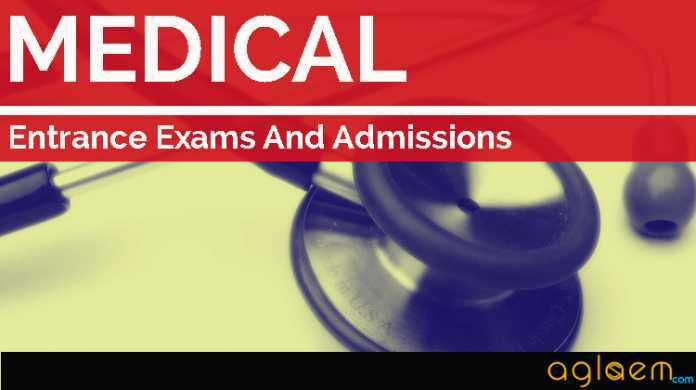 PGIMER B.Sc Nursing Admit Card/ Hall Ticket 2019- The admit card/ roll numbers for B.Sc Nursing to take place in 2019 will be issued by the Postgraduate Institute of Medical Education and Research, Chandigarh online. The institute will, first of all, publish a notice declaring the name of the post, date and time of written test, reporting time at the center of the exam, and the name of the examination center. The web portal i.e pgimer.edu.in is now active for admit card. Using this, candidates will gain access to their login account. Candidates have to enter their Login ID and Password to download their PGIMER B.Sc Nursing 2019 hall ticket. When you download the hall ticket, please take multiple prints. It might be possible that the institute does not allow the candidates to request for duplicate copies. The reporting time for the PGIMER B.Sc Nursing can be 1 hour (60 minutes) before the exam. Eligible candidates are advised to visit the PGIMER B.Sc website and download the admit card and carefully read the instructions in it to be followed during the examination. The eligible candidates will be able to download their issued PGIMER B.Sc Nursing hall tickets from the official website or through the direct link which is provided below. Admit Card: Admit card of B.Sc nursing 2019 will be available for download on the Official Website www.pgimer.edu.in. The institute will also publish the list of eligible candidates and ineligible candidates on the website. The admit card will be issued to only eligible candidates. Visit the official website at pgimer.edu.in or click the link provided here at the time of admit card issue. Take multiple prints for future reference. The paper will be conducted in offline mode (written). There will be a total of 200 questions worth 1 mark each. While for negative marked responses, 0.25 mark will be deducted as penalty. The question paper will have questions of 12th standard level. Use an only ballpoint pen to shade the right answer indicating the correct response. Darken the CIRCLE of each answer completely. Answer option if not darkened correctly cannot be altered later. Please circle only the designated spaces. Do not leave any stray marks on the question booklet. You can do rough work on a spare sheet not on the answer sheet. A blank space will be provided at the end of the answer sheet. Indicate the correct word for the blank in the following sentence. He was qualified ____________the job. Insofar, official details of PGIMER B.Sc Nursing Admission 2019 have not been announced. Information on this page is as per last year brochure and for reference purpose only. As soon as the conducting body releases PGIMER B.Sc Nursing Admission 2019 information brochure, details will be updated here. You can refer this link for Bsc Nursing question paper and answer. i’ve tried finding previous year question papers of pgimer bsc nursing exam but i could find none. it’ll be really helpful if you post them on your website or email them to me. thanks a lot!